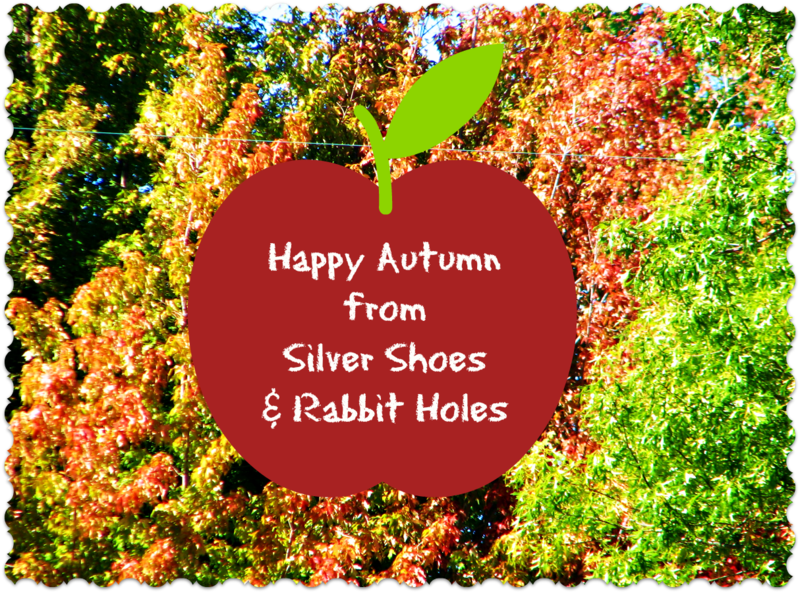 Silver Shoes & Rabbit Holes: It's Fall! It's Fall! I have some good stuff planned for the blog this week, but right now, we're busy gussying up the house and porch for our fall decor! It's still a bit too warm for my liking, and except for the occasional yellow leaf I randomly find on the sidewalk, it doesn't seem too fall-like yet. But that will soon change! Meanwhile, I will leave you with the song Big Sis and I still sing around the house this time of year. We no longer have cable, but without Moose and Zee, Noggin/Nick Jr. became less fun anyway. They make me happy. The girls and I still look for them on YouTube for old times' sake. It's so catchy, isn't it? :o) Yay for fall!